Diamond Micro-Dermabrasion (DMD) is a gentle peeling and exfoliation process using a controlled application of a diamond-coated abrasion device used to soften lines, lighten age spots and improve skin texture and color. Increases the skin’s elasticity and collagen, resulting in a more youthful skin. Silkor’s Diamond Peel unit does not use sand or aluminium oxide crystals like the traditional dermabrasion. Using the safe diamond-encrusted tipped wand (not the archaic loose-flying particles! ), the top layer of the skin is removed while a gentle vacuum takes away the dead cells, providing you with remarkably smooth skin. Facial DMD – This high-tech professional treatment renews and resurfaces, leaves face and neck looking super radiant and smooth. A gentle form of Diamond Micro-Dermabration is combined with a soothing facial mask that diminishes uneven skin tones, fine lines & wrinkles and softens sunspots. You’ll love your jewel skin!! 57% off Glowing shiny and youthful skin! Established in Beirut Lebanon in 1997, Silkor is an industry pioneer and the Middle East and North Africa (MENA) region’s leading chain of laser hair removal, laser medico-aesthetic, cosmetic & plastic surgery and skin care services. The company specializes in treatments that promote smoother, more radiant skin, for both men and women. Treatments are performed by highly skilled dermatologists, plastic surgeons and medical practitioners and take place in a relaxed comforting atmosphere. 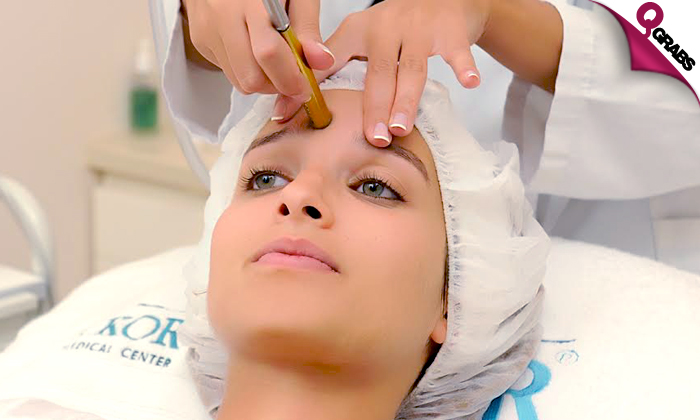 Silkor addresses customer needs with the most advanced, proven, medical and aesthetic technology. Silkor enhances the personal wellbeing, confidence and self-esteem of its customers in a safe and professional environment.